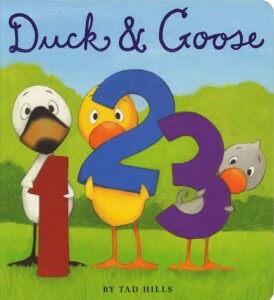 Preschoolers will cheer the return of Duck and Goose in their second board book appearance! All the favorite characters, including Bluebird and Thistle, return—this time to introduce basic counting concepts. A small trim size and Easter egg-colored art makes this the perfect Easter basket stuffer for young children everywhere!